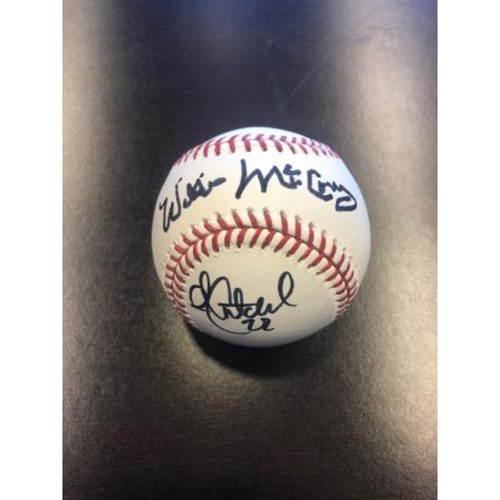 Buy this baseball autographed by Willie McCovey & Andrew McCutchen. This item was from the 2018 Junior Giants Stretch Drive and comes with a Certificate of Authenticity from the Giants Community Fund (No MLB Hologram). Net proceeds for this purchase benefit the Giants Community Fund and Junior Giants Baseball program.